Entry £8 with free cloakroom. There is no dress code at Feet on Friday, so you are welcome what ever kind of foot, socks or footwear fetish interests you. The club is for guys into guys’ feet socks and footwear and it is not a general cruising night. Sneax on Saturday is our new themed event, created by popular request. You can expect the same friendly and playful atmosphere you have come to expect at Feet on Friday, but Sneax on Saturday will operate a dress code of Trainers/Sneakers. 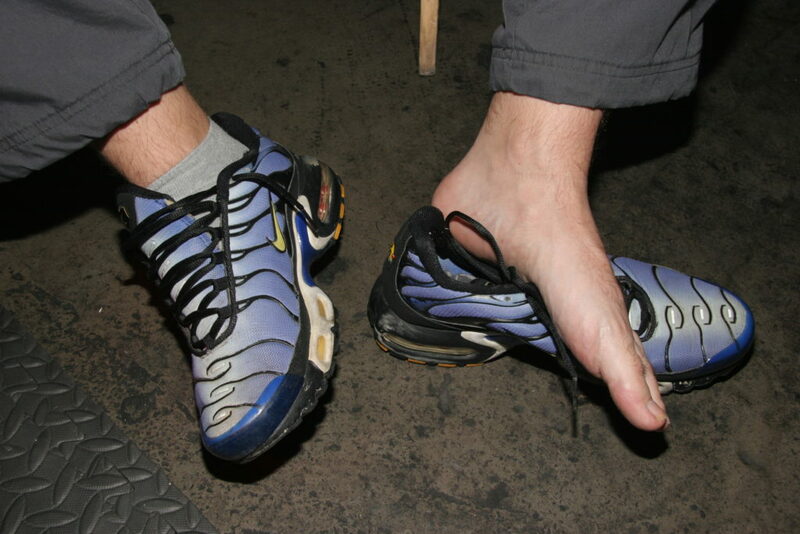 Sneax on Saturday is for guys who are into guys’ trainers/sneakers, socks and feet. It is not a general cruising club. Feet on Friday is always the 3rd Friday in the month, and Sneax on Saturday is occasionally on the 5th Saturday. Sneax on Saturday is our more specialised themed party where we operate a dress code of trainers/sneakers. We have a bar area that serves a variety of drinks where you can socialise and chat to others – we keep the music at a volume where you can have a conversation without having to raise your voice. We try and hang out here so we can welcome you and make sure new visitors are looked after, but we dont catch everyone so don’t be afraid to come say hello. The play areas have a variety of seating arrangements and Softfloor carpeted foam tiles on the floor which makes play comfortable and clean. Some areas are more open and some areas more private to cater for those who like to show off and those who don’t. We meet in the Underground Club, which is beneath Central Station, located on the corner of Wharfdale Road and Balfe Street. The entrance to The Underground Club is a separate side door, not via the main bar.